When you’re a photographer, you have the opportunity to look through the lens and share how you view the world. You are able to share stories and provide access to visual information from across the globe. You have a unique ability and talent to connect others and show the human element in everything that you do. There are many different verticals to explore and work within: be it sports, commercial, wedding, stock, journalism, or artistic photography. Photography, as an industry, is continually growing with a total revenue of $10bn in the United States for 2018. As a photographer, you will face a lot of competition, and access to Internet has both helped and hindered that. While you have the ability to share freely and attract a loyal customer base for next to nothing, so do all photographers. However, this access has also inspired many people to pursue photography or to explore new techniques in this art. It’s given you a free ability to show your products and hang them in your virtual gallery. There is room for everyone in photography and art, so don’t let a popular photographer, style, or images make you feel like you need to emulate what they do to succeed. Own your niche and create buzz around your brand of photography. The best way to do this is to connect with your customers through an online brand. Misha De-Stroyev, award winning commercial sports photographer, has tips for anyone looking to pursue this exciting and challenging path and how to truly succeed in your field. He highlights his ideal equipment, his career journey, and shows how you can grow and understand what you’re best at and use that to your advantage. Many people aren’t aware of the variety of domain name extensions, or Top-Level Domains, available for niche markets or specific pursuits. Photographers have a couple obvious options for extensions that go beyond the typical and really stand out from the crowd. 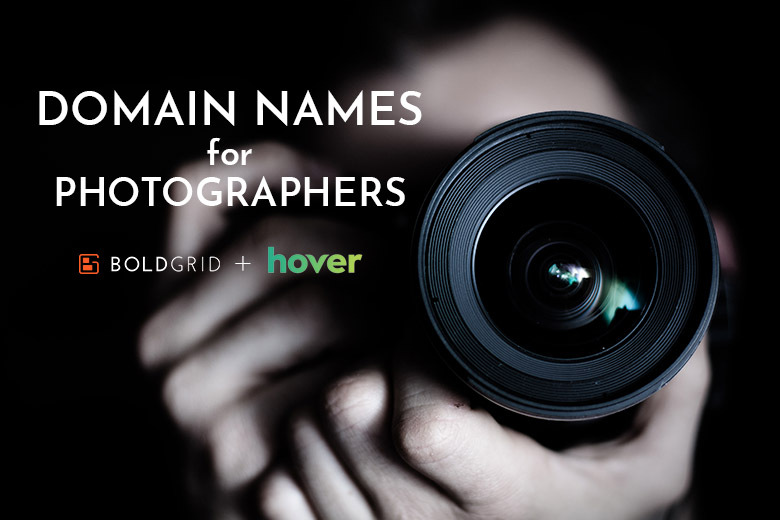 A couple examples of a great go-to domain name extension for photographers is the .PHOTO domain name or the .PHOTOGRAPHY domain name. Further, if your photography has a specific niche such as wedding, music or bands, certain sports, or similar, grab your brand name at the domain name that suits the focus of your photography. This helps your audience know what type of photography to expect before they land on your website. What Should you do with your Domain Name? It’s likely that you have a portfolio set up somewhere or that you’re planning to set one up. If you want to build a website to display and share your work, Boldgrid has themes specific to photographers that help you highlight your work best. However, if you already have an Instagram or a collection of stock photos up for download on a website, then forward your domain name to your profile. It’s a simple way to start building an online presence for your photography brand. 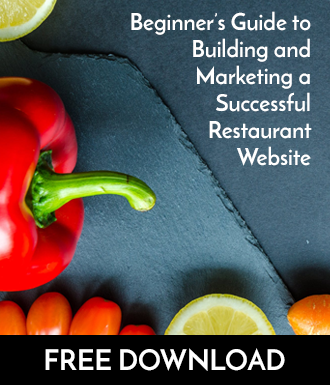 Samantha is a digital marketing expert and entrepreneur. She currently works for Tucows, taking on the content marketing role for their subsidiary, Hover. She loves filling you in on the booming tech industry of Toronto, and beyond. When she’s not working, she lives for travel and the ocean and is always looking for a chance to dive, snorkel, and recently – *attempting* to surf!